What the...? What just happened? Over $1000 in just one day? My god, it's full of stars ! Its over 15,000 now as several people have since donated- he just hasn't updated the counter yet. First Milestone reached! $15000 for developing the final SpaceEngine 1.0 Planetarium! It's time for me to free off my job and start working on SE full time! In next month, i go donate too. But, if you need too, i work with 3d Maya and Max. Thanks, SpaceEngineer for this awesome space simulation program. It is the best one of the others i have tried. I will donate some more money next month. 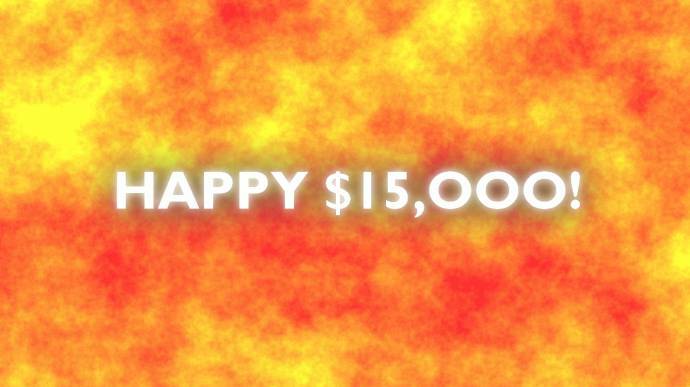 Excited congratulations for SpaceEngine on reaching it's $15,000 goal. Sad to see that the real thing I was looking forward to, Mac support, has been moved from $25,000 to the $40,000 goal. start working on SE full time! also, many congratulations to the $15,000 milestone! Oh, I understand, and I understand those priorities and goals have to be malleable, especially when Mac is a smaller-by-comparison niche than Windows. I'm very much looking forward to the plans for the 1.0 release and am thrilled that SpaceEngineer has found the funding to work on his dream full-time for a year. It's all good.